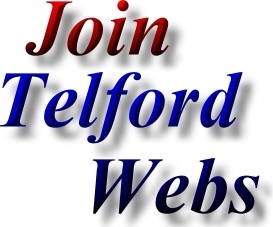 The Telford Football web page is provided as a free service for the people of Telford, Shropshire. 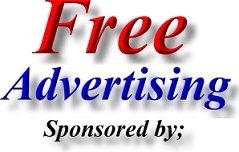 All that we ask in return, is that listed Telford Football Teams, Telford Football Clubs & Telford Football Leagues place a link on their website back to us and hopefully mention us on their league fixtures & other paperwork. Telfords Semi Professional Football Club - Telford Football Team. AFC Telford United is the largest football team in Telford and was formed following the demise of Telford United Football Club. AFC Telford united play in the Blue Square North League. Address; AFC Telford United, The New Bucks Head Stadium, Watling Street, Wellington, Telford, Shropshire. TF1 2TU. Youth Football Team based in Admaston, Telford. Football Team based in Bridgnorth. Address; Bridgnorth Town FC, Crown Meadow, Innage Lane, Bridgnorth, Shropshire. WV16 4HS. Bridgnorth Town Football Club are members Of the ASPIRE Midland Football Alliance & The West Midlands Regional Football League. Youth Football Team based in Broseley. Address; Broseley Youth FC, Birch Meadow Playing Fields, Broseley, Telford, Shropshire. TF12. Dawley Bank Pub Football Team. Address; Bulls Head Dawley Bank Football Team, Doseley Road, Dawley, Telford, Shropshire. The Bulls Head Saturday Football Team plays in the Telford Sunday Division Premier League. Wrockwardine Wood Pub Football Team. The Bulls Head Saturday Football Team are a Saturday football team from the Telford Combination League. The Bulls Head Saturday Football Team originates from the Bulls Head Pub in Milners Lane, Dawley Bank, Telford, UK and were formed in June 2001 by a few of the regulars and with a lot of encouragement and sponsorships we were able to purchase a new kit and enter into the league. Address; Bulls Head Saturday Football Team, Plough Road, Wrockwardine Wood, Telford, Shropshire. TF2 7AL. The English FA is the Governing Body for Football in England. The Football Foundation provides £40,000,000 annually for Grass Roots Football. Address; The Football Foundation, 30 Gloucester Place, London. W1U 8FF. The Football Foundation is the UK’s largest sports’ charity. The Football Foundation is funded by the Premier League, The Football Association and the UK Government. The Football Foundation directs £40m every year into grass roots sport and the Football Foundation also funds projects that increase participation in football and other sports and address some of society’s key challenges, such as social inclusion, health, education and equalities issues. Youth Football Team based in Hadley, Telford. Hadley Juniors Football Club is based in Telford Shropshire. Hadley Juniors Football Club is a member of the Telford Junior Youth Football League. Hadley Juniors Football Club strives to provide opportunities for local children to play association football and to enhance their skills and development to enhance their enjoyment and competitiveness whilst playing junior football. Football Team based in Newport, Shropshire. Address; Honeysuckle United Football Club, Shuker Field, Broadway, Newport, Shropshire. Honeysuckle United Football Club is based in Newport, Shropshire. The club plays in the Telford Sunday League Division 2. Address; Madeley Cricket Club Football Team, Park Street, Telford, Shropshire. TF7 5PS. Football team based at Madeley Cricket Club in Telford. Address; Oakengates Sports Centre - Football, New Road, Wrockwardine Wood, Telford, TF2 7AB. Address; Old Wulfrunians JFC, Deanscourt Road, Tettenhall, Wolverhampton. WV6 9BQ. Football Team based in Randlay, Telford. Address; Randlay 07 Football Team, Randlay Farmhouse, Randlay Avenue, Telford, Shropshire. TF3 2LH. Pub Football Team which plays in the Telford Sunday Football League and based at the Randlay Farmhouse Pub in Telford. Junior Football Team based in Randlay, Telford. Youth Football Club - Football Team based at Stirchley Recreation Centre. Football Team based in Shifnal, Telford. Address; Shifnal Harriers Football Team, Idsall Sports Centre, Copice Green lane, Shifnal, Telford, Shropshire. TF11 8PD. Shifnal Harriers Football Team plays in the Telford Sunday Football League Premier Division and are based at Idsall Sports Centre, Shifnal. Shifnal Harriers Football Club meetings are held at the Beehive Pub in Shifnal. Record books reveal the existence of Shifnal Town Football Cbub as far back as the last century, however the modern day club was founded as recently as 1964, originally named St Andrews Youth Club Football Club. As members of the local Wellington and District Football League, the club's first significant event was the involvement of the present day President. As a result, the organisation of the club improved, the first change of identity also occurred, with the resurrection of another historic name from the Town's footballing past, Shifnal Juniors Football Club becoming the Football Team's new name. Address; Shifnal United 97 Football Team, Idsall Sports Centre, Copice Green lane, Shifnal, Telford, Shropshire. TF11 8PD. Shifnal Harriers Football Team plays in the Shropshire County League Division Premier Division and are based at Idsall Sports Centre, Shifnal. Address; Shifnal United Rovers Football Team, Idsall Sports Centre, Copice Green lane, Shifnal, Telford, Shropshire. TF11 8PD. Shifnal Rovers Football Team plays in the Telford Sunday League Division 2 and are based at Idsall Sports Centre, Shifnal. Governing Body for Football in Shropshire. Address; Shropshire Football Association, The Prostar Stadium, Oteley Road, Shrewsbury, Shropshire. SY2 6ST. Shropshire County Football Association aims to establish safe and structured football opportunities for the benefit of all concerned irrespective of age, colour, gender and disability. Football Team based in Leegomery, Telford. Address; Telford Town FC, Granger Road, Leegomery, Telford, Shropshire. TF1 6UJ. Address; Wrekin Amateurs FC, Crescent Road, Wellington, Telford, Shropshire. Wrekin Amateurs Football Club compete in the Ironbridge and District Sunday Football League and are sponsored by the Captain Webb Pub in Telford. Football Team based in the Bratton, Ketley, Tibberton and Wellington areas of Telford. Address; Teams are based at various locations around Telford, Shropshire (please use each teams links for more details). Wrekin Under 17 Boys FC play at Tibberton Football Pitch - Train at OD Murphys, Orleton Lane, Wellington. Wrekin Panthers Boys Under 16 Boys FC play at Ercall Wood Technology College Football Pitch, Wellington, Telford, Trains at Ercall Wood School. Wrekin Lions Boys Under 16 FC play at Blessed Robert Johnson School Football Pitch, Wellington, Telford - Train at Blessed Robert Johnson School, Wellington, Telford. Wrekin Tigers Boys Under 15 FC play at High Ercall Village Hall Football Pitch, Telford in Telford Junior League - A Division). Wrekin Jaguars Boys Under 14 FC play at Ercall Wood Technology College Football Pitch, Wellington, Telford in the Telford Junior League 'B' Division. Wrekin Bobcats Boys Under 14 FC play at TBC Football Pitch in the Telford Junior League 'A' Division. Wrekin Panthers Under 13 FC play at High Ercall Village Hall Football Pitch, Telford in the Telford Junior League 'A' Division. Wrekin Tigers Under 12 FC play at Dothill School Football Pitch, Wellington, Telford in the Telford Junior League 'A' Division. Wrekin Panthers Under 12 FC play at Ercall Wood Technology College Football Pitch, Wellington, Telford in the Telford Junior League 'A' Division. Wrekin Panthers Under 11 FC play at Dothill School Football Pitch, Wellington, Telford in the Telford Junior League 'A' Division. Wrekin Lions Under 11 FC play at Ercall Wood Technology College Football Pitch, Wellington, Telford in the Telford Junior League 'C' Division. Wrekin Tigers Under 10 FC play at Ercall Wood Technology College Football Pitch, Wellington, Telford in the Telford Junior League 'B' Division. Wrekin Panthers Under 10 FC play at St Peters School Football Pitch, Bratton, Telford in the Telford Junior League 'B' Division. Wrekin Lions Under 9 FC play at St Patricks School Football Pitch, Wellington, Telford in the Telford Junior League 'C' Division. Wrekin Panthers Under 9 FC play at St Patricks School Football Pitch, Wellington, Telford in the Telford Junior League 'A' Division. Wrekin Tigers Under 9 FC play at St Peters School Football Pitch, Bratton, Telford in the Telford Junior League 'B' Division. Wrekin Panthers Under 8 FC play at Dothill Junior School Football Pitch, Wellington, Telford. Wrekin Tigers Under 8 FC play at Dothill Junior School Football Pitch, Wellington, Telford. Wrekin Panthers Under 16 Girls FC play at Ketley Grange Football Pitch, Telford in the U16 Shropshire Youth Girls League. Wrekin Lions Under 16 Girls FC play at Ketley Bank Football Pitch, Telford in the U16 Shropshire Youth Girls League. Wrekin Tiger Under 14 Girls FC play at Ketley Grange Football Pitch, Telford in the U14 Shropshire Youth Girls League. Wrekin Lions Under 14 Girls FC play at Ercall Wood Technology College Football Pitch, Wellington, Telford in the U14 Shropshire Youth Girls League 'Blue'. Address; Wrekin Red Lion FC, Crescent Road, Wellington, Telford, Shropshire. TF1 3DN. Wrekin Red Lion Football Club compete in the Telford Sunday Football League Division Premier Division.